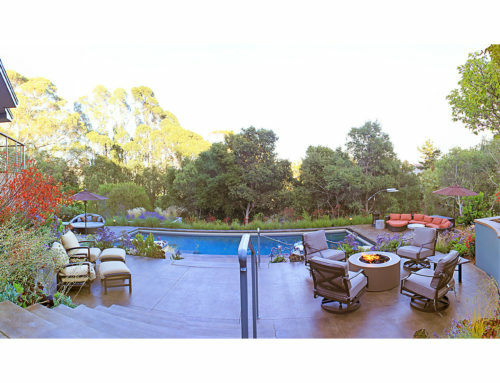 An East Bay Landscape - Simmonds & Associates, Inc. 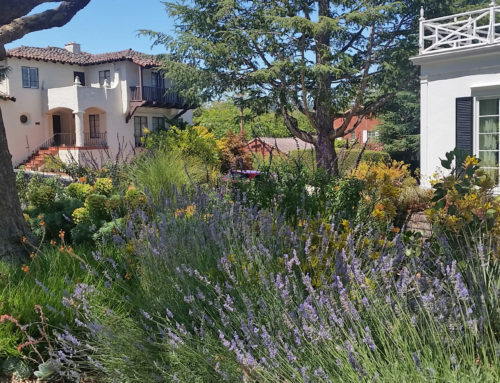 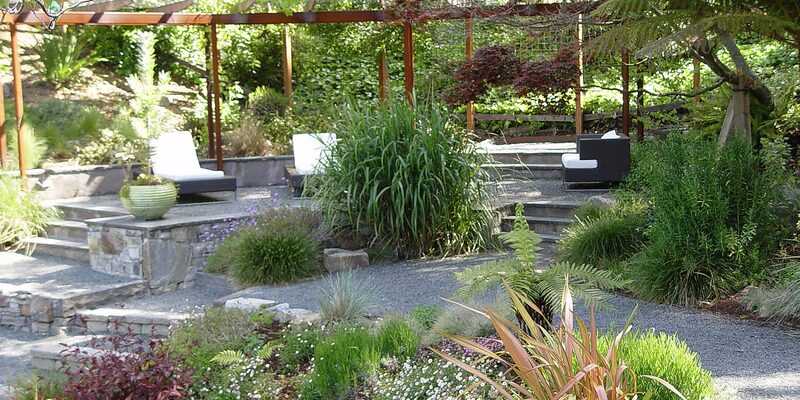 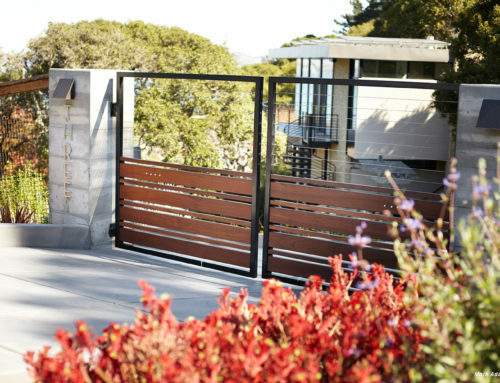 This East Bay landscape garden contrasts modern and traditional landscape and garden elements, which are unified by a natural planting scheme. 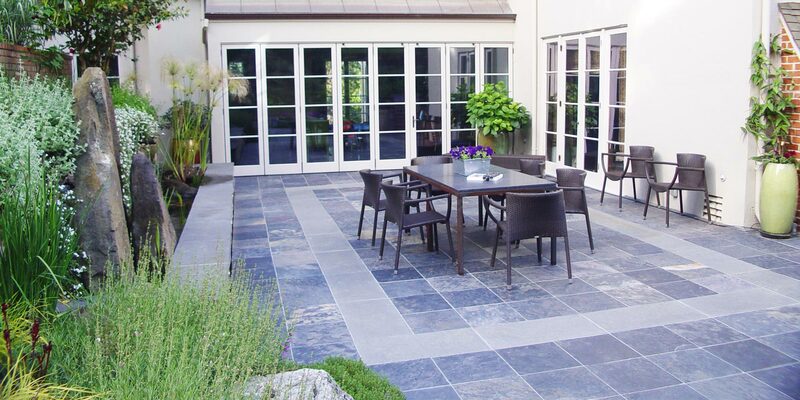 Although the house is traditional, the client desired some contemporary elements, enabling us to introduce rusted steel fences and arbors, black granite for the barbeque counter, and black African slate for the main terrace. 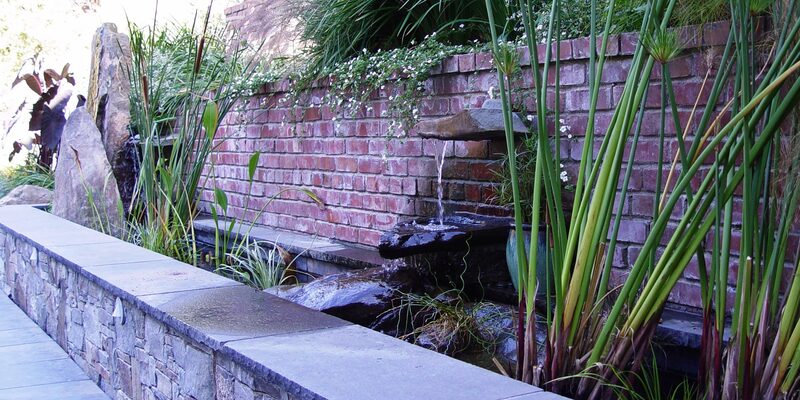 An existing brick retaining wall was saved and forms the backdrop for a long fountain with two stone water sources. 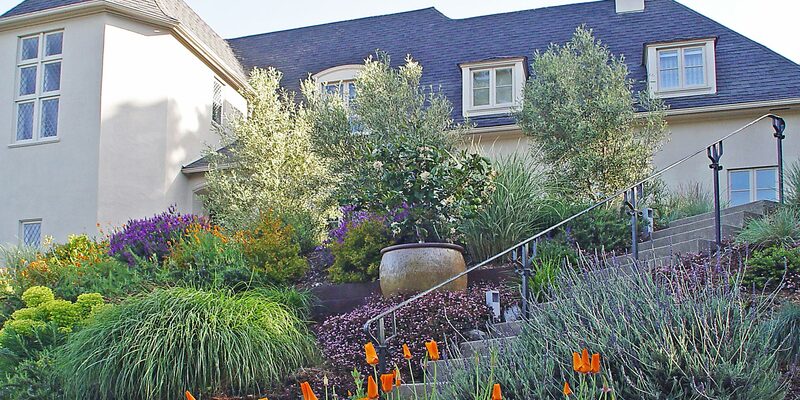 Almost an acre in size, the property has a significant cross slope that we needed to contend with. 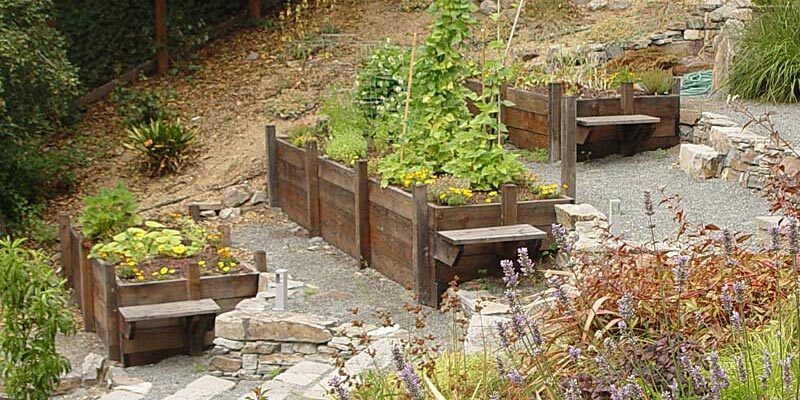 Rather than terracing large areas, we took a less invasive approach, and developed several destinations. 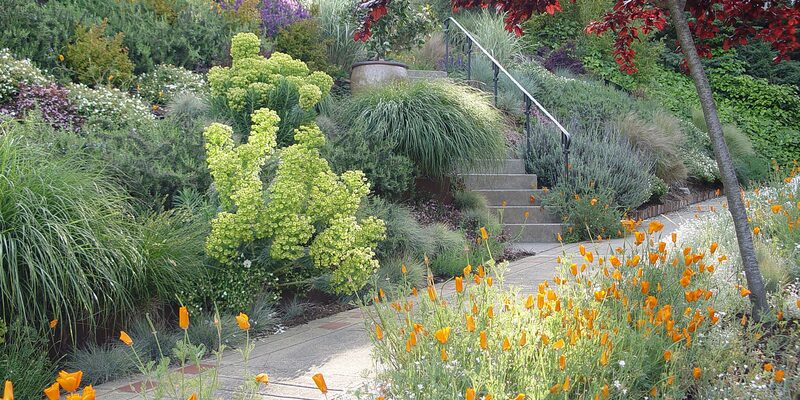 Each pathway leading to a destination takes the pedestrian through one or more of several themed gardens. 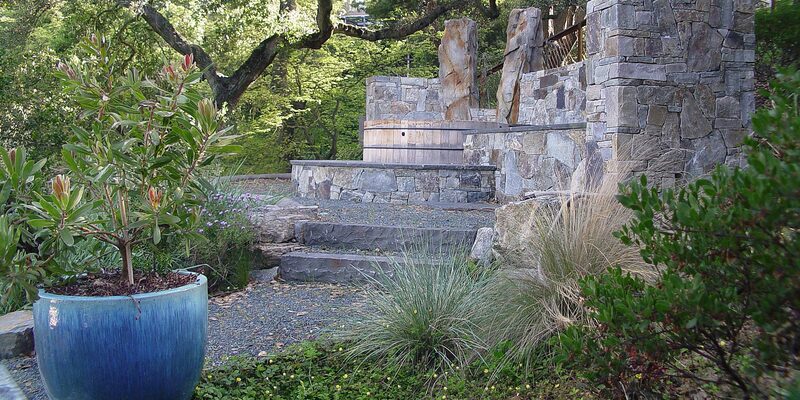 Winding steps takes the visitor up the hill to a redwood hot tub, which overlooks the property. 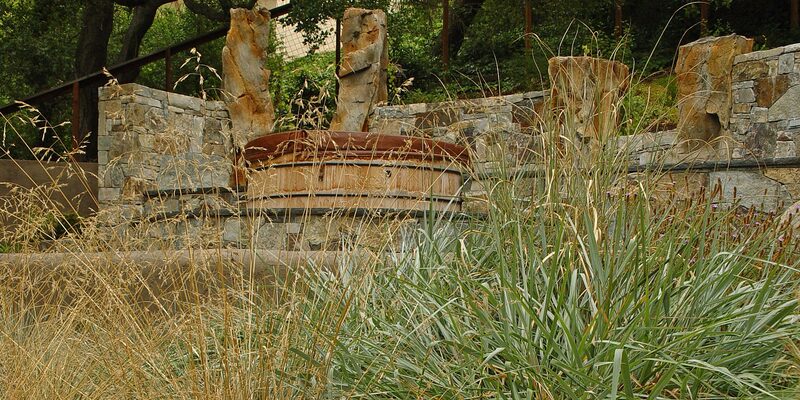 The redwood hot tub is set in a deck embraced by walls and stone pillars, surrounded by a California landscape of shrubs, grasses and oak trees. 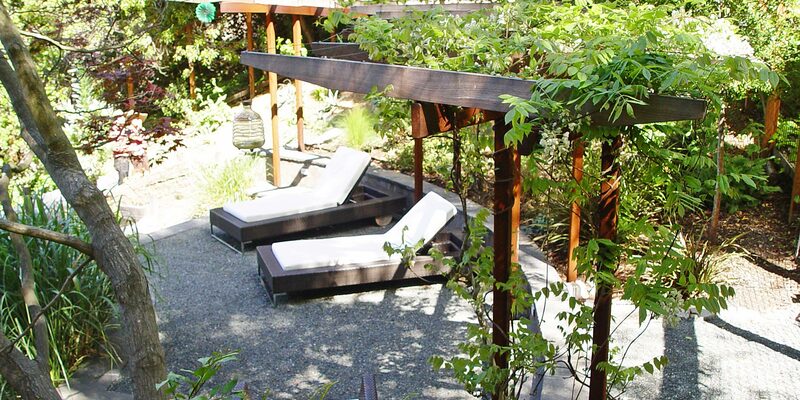 Another winding path leads to the arbor at the end of the property, furnished with Emu chaises, with relaxing views back to the house, and easy access to the adjacent vegetable garden. 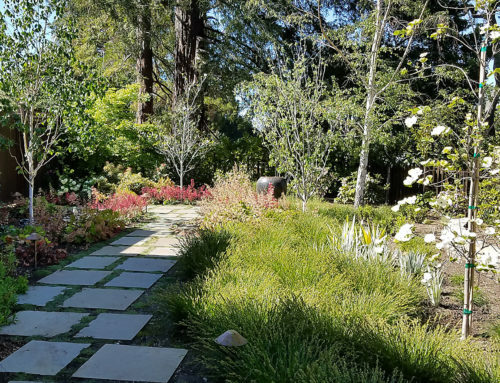 Yet another path takes the visitor past the succulent garden, the vegetable garden, and the water-loving garden (fed by a natural spring), to the potting area under the house. 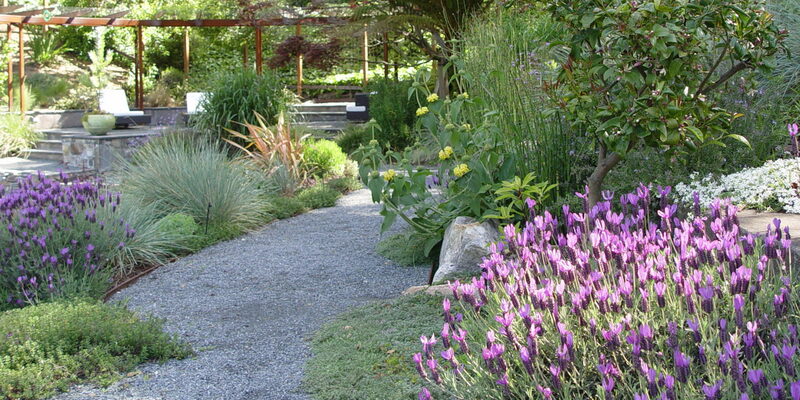 The pathways are permeable gravel or decomposed granite. 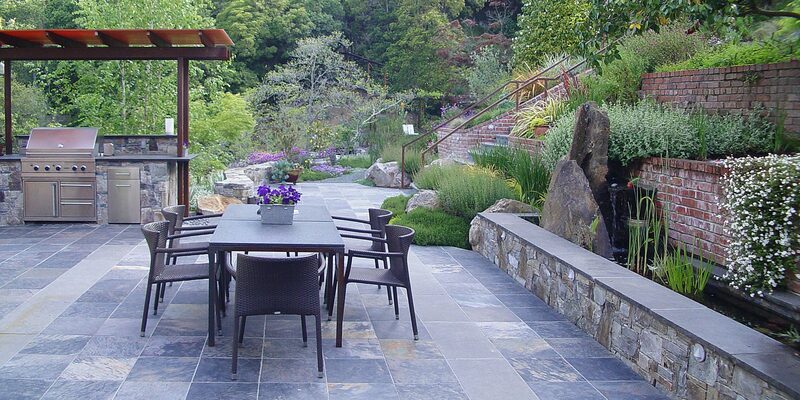 Some of the steps we used were existing brick steps, relics of the original construction, while others were made from dolomite slabs, to provide the modern contrast to the traditional brick. 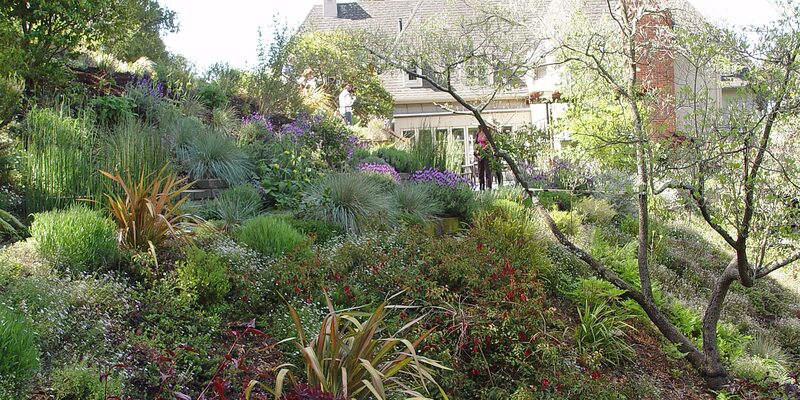 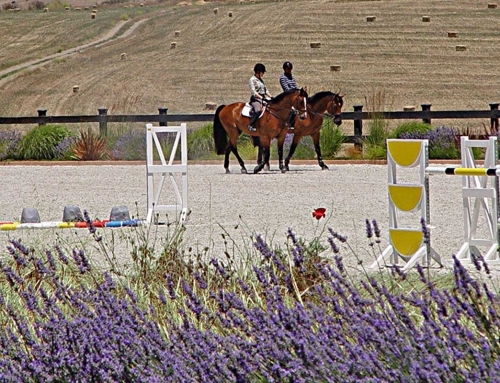 This East Bay landscape was featured on the “Secret Gardens of the East Bay” tour in 2010.